Recently, BBC Radio 4 broadcast an excellent documentary on the privileged status of the English language in India (1). Unlike China, India has no single homegrown national language of government. Hindi, the official unifying national tongue, is an artificial 20th century construct and remains largely unspoken. Consequently, English has retained a powerful position in the civil service, upper judiciary, academia, national media and corporate business. The presenter, Zareer Masani, described how India, which claims the world’s second largest English-speaking population (after the USA), has a true love/hate relationship with the language of the British Empire. While chauvinists and Nationalists have tried to ban its use, dalits (formerly known as ‘untouchables’) have united with privileged elites to adopt English as the language of a new meritocratic India. Enrolment at vernacular national schools has declined, while private English language schools thrive. The increasing popularity of private English-medium schools shows a coming together of two quite different social groups, and mirrors changes taking place in the Indian economy. Now, the elite and the dispossessed are using them as a means to empower their children. For rich and poor alike, the acquisition of good English is an important issue. It is the passport to white collar jobs, and the lack of it will hold their children back in their chosen careers. But, the results are mixed. Predictably, the English spoken by those attending the best schools is excellent and almost indistinguishable from that of educated native speakers. However, at the Anglican schools favoured by the aspiring poor, Hindi is mixed with English to produce Hinglish – a hybrid unintelligible to you and me. Of course, the claim of 125 million English-speakers in India is a distortion of the facts. So many speak Hinglish that a truer figure might be a fraction of that number, making India an also-ran in the English-speaking stakes. Or does it? If we think of our huddled masses in Glasgow, Liverpool or Newcastle, perhaps we shouldn’t be too sniffy about those who speak different forms of English. After all, who amongst us speaks perfect English? I’m not even sure if I know what it is! The truth is, of course, that you get what you pay for. No matter where you are, if you want your child to have a good education, you make sure that they have highly-educated, professional teachers, who love teaching and are passionate about their pupils’ progress. And, for this to have any real impact, you must choose a school with small class sizes. Great teachers and small classes cost money, so it is no surprise that the privileged elites opt for the excellence that comes from 1-to-1 classes with professional teachers, so that they get the greatest benefit. Of course, this is what we offer at HELLO English. 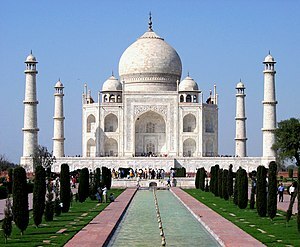 We are extremely well-qualified, professional English teachers and our reasonable rates and high success rates mean that it won’t cost you the Taj Mahal, either. Women Bishops, Noah and Christmas Pud. Amongst the media bombardment about Middle Eastern rockets and women priests, I notice that today is traditionally the day on which Noah is held to have entered the Ark. Given the weather we have had this year, I imagine that there are many who feel like copying him, although perhaps without the complete domestic menagerie he brought along. It is also about now, my almanac tells me, that Stir-Up Sunday falls: the last Sunday before Advent on which the Collect begins “Stir-up, we beseech thee, O Lord, the wills of the faithful…” which was taken as a reminder to stir-up the mixture for Christmas puddings and pies, in order to allow them time to mature. We’ll eat it piping hot. Christmas puddings and pies should always be stirred clockwise with a wooden spoon. All present in the house should take a turn to stir in order of age: father, mother, visitors, children and babies by seniority. Is there a connection between ‘stirring’ and women? Certainly Johnny Nash and later Bob Marley thought so in the reggae classic ‘Stir It Up‘ – and they weren’t talking about ecclesiastical ructions within the Anglican church. 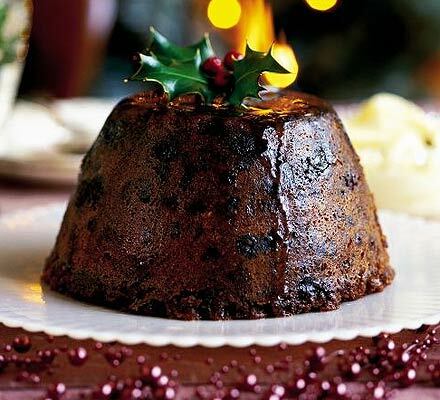 And if you don’t know how to make one, here’s a Christmas Pudding recipe, for you to try at home. At HELLO English, we enjoy all the oddities of English traditions – whether in the English language, or in our weird and wonderful institutions, even if their arcane rules seem a little outdated from time to time. To find out more, contact us here. Excellent Viddy. Watch, Watch, Watch! At this time of year, our English students often ask about the story of Guy Fawkes. Why do we remember this failed attempt to blow-up a king? When Guy Fawkes planned the Gunpowder Plot more than 400 years ago, he could hardly have imagined his treasonous actions would be remembered for so long afterwards and inspire so many books, poems, short stories and songs. Yet the man who was part of a group – led by Robert Catesby – that tried to kill the king of England in 1605 has been the inspiration for many millions of words – to which we add these few. Most people born and raised in Britain know the story of the Gunpowder Plot, which was an attempt by Guy Fawkes and his co-conspirators to kill King James I, when he opened the Parliament at Westminster. Fawkes and his group cooked up a secret plot to assassinate King James. England was a protestant country and Fawkes and his fellow band of men wanted to have a Catholic king or queen on the throne. Fawkes planned to blow up Parliament while the king was there. But the king’s guards were tipped off and on November 5, 1605 they searched Westminster Palace and found Fawkes guarding a pile of gunpowder. He was arrested and sentenced to death. The fact that King James survived was cause for great celebration! People took to the streets to have a party. The country soon followed in the celebration and a party-like spirit spread across England. Everyone gave thanks that God had saved King James’s life. The king did not want any more attempts on his life. His ministers made sure people did not forget Guy Fawkes, and November 5 became known as Guy Fawkes Night. It continues today as an evening of celebration, with food, drink, songs and stories. Effigies of Guy Fawkes are even burned on a bonfire. And it continues in our literature because the drama and intrigue of the Gunpowder Plot have appealed to writers across the centuries. The story has been captured in various ways. The most famous poem, sometimes classed as a nursery rhyme, is “Remember Remember”. In Britain, most children will learn this ditty in infancy, but there are longer versions: the longest being kept in the Tower of London archive. There are Guy Fawkes related songs, and many of these are period ballads with a decidedly sinister feel to them, including the “Devil and the Washerwoman”, but there is also a more recent “Ballad of Guy Fawkes” by the band Green on Red, which links these seventeenth century events to recent political dissatisfaction. The most successful substantive account of the Gunpowder Plot has been that written by the renowned historian Antonia Fraser. Her book “The Gunpowder Plot: Terror and Faith in 1605” (Weidenfeld & Nicolson 1996) unravels the tangled web of religion and politics that spawned the plot. The Gunpowder Plot captures children’s imaginations too. There are many books for younger readers about Guy Fawkes and Bonfire Night. Two of the most popular are “The Gunpowder Plot”, by Liz Gogerly, and “Guy Fawkes” by Harriet Caster. Indeed, in towns and cities across the UK, children may still ask strangers to spare ‘A Penny for the Guy, Mister?’, although it is likely to mean a lot more than a penny these days. Guy Fawkes even shaped our language. In the 19th century the word “guy” was used to describe an effigy or a strangely dressed person. In American English use of the term evolved and it came to mean any male person. Today, some people say Guy Fawkes Night is overshadowed by Hallowe’en, and the advent of ‘Trick or Treat’ – an American import, described by one Guardian journalist as ‘the Japanese knotweed of autumn festivals’. At HELLO English, we love explaining the old customs and traditions of England, and we even enjoy exploring those of our near neighbours in Wales, Scotland and Ireland. If you want to find out more, please look at the HELLO English website on http://www.hello-english.com, or email us at contact@hello-english.co.uk. Get to know a friendly Viking! Although I spend my working days teaching the delights of English, I often find myself referring to Danish in order to explain the quirks of the English language. At school, I learnt Latin and French; at university, Old and Middle English. Along the way, to a greater or lesser extent, I have picked-up bits of Hindi, Hebrew, Danish, Swedish, Spanish and Italian. So, why is Danish – my Viking touchstone – so important? Well, I think that Danish should be taught in England as a mandatory foreign language not just for historical and etymological reasons, but because it is so useful, and simple. Unlike most languages we learn, Danish doesn’t have a difficult grammatical structure, there are no case-endings or weird irregularities, and many of the words are pretty familiar to a native English speaker. Almost all our vocabulary for the home, the family, farming or fishing, for example, has Danish roots and most are actually the same word, albeit pronounced slightly differently. Which brings us to the one slightly difficult bit of this proposition: the pronunciation of Danish. Danes will themselves admit that Danish is not so much a language as a throat sickness. For those of us raised on and accustomed to English, the articulation of Danish – which is further back in the throat – can sound a little akin to gargling. This is often highlighted by the danes themselves, when they invite visitors to pronounce the name of a delicious redcurrant dessert, served with cream ‘Rødgrød med fløde‘, which is, of course, nearly unpronounceable for ordinary mortals. Once this skill is mastered, however, the language is simple, clear and a delight to use. Now, let’s be honest, there is no answer known to man that will persuade a truculent teenager of the utility of learning another language, but for calmer heads, the human and financial advantages are clear. So, at a time when they might be learning Chinese, Arabic or Russian (1.6 billion speakers worldwide), why am I suggesting that we should encourage our children to learn Danish (estimated speakers 6 million)? We will not gain a vast Viking export market, that’s certain. But, do we only learn languages in order to boost foreign trade? Surely not? One of the most important roles for language learning is to enhance friendship between nations and for us to expand our capacity to think and imagine in ways that are not possible within the confines of our own language. This is something we need to do. We have so much to learn from the humanitarian and democratic societies that lies across the North Sea. Whether we are talking about Denmark, Norway or Sweden, these are countries that have been wise about their economies when we have been merely greedy, and have invested sensibly for their futures in their people and their skills. Shouldn’t we be learning more from them? Apart from French, which is unsuccessfully drummed into most of us from an early age, Denmark is not only geographically close to us, it is our nearest linguistic neighbour. But French is – like English – a confoundedly complex and irregular language to learn. As Britons, we have been dreadful at teaching foreign languages. So bad, in fact, that we have the worst record among the developed world, even when we have tried to teach children European languages which use the same alphabet, like French, German and Spanish. How do we think we will do when we try to introduce the xenophobic and lazy linguists in our schools to Mandarin, Russian and Arabic? There is another way. By learning Danish as a first foreign language, British school children could choose to learn the more complex languages of our other neighbours having already succeeded in speaking a recognised European tongue. The acquisition of Danish as a progressor language would give our students increased confidence, creativity and international employability. Most importantly, improved linguistic confidence, nationally, would encourage the learning of other more complex languages, such as Dutch, French, Italian or German. After all, it is much easier to learn third and fourth languages once you have confidence in a language other than your own. If we want to encourage language learning and be seen as a country that actually bothers about the rest of the world, perhaps we ought to start by teaching languages that our students will actually use and enjoy. 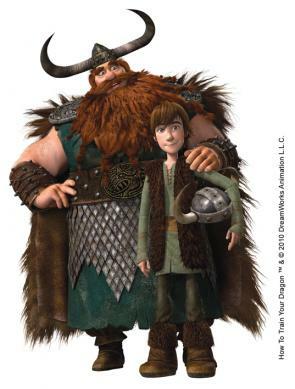 After all, within us all, there is a Viking waiting to come out! HELLO English will be very happy to help you or any others who may be interested to discover their inner Viking. Others may find our excellent English teaching and successful courses to their advantage. Please do not hesitate to contact us through this blog or through the http://www.hello-english.com website. God save the Queen’s English. via God save the Queen’s English.